There aren’t a lot of Sega Master System ports of SNES games. There are even fewer ports where the Master System soundtrack improves on the SNES original. And if that score emerges from what was an unfinished release, we might be dealing with a minor miracle. Or maybe such a lucky outcome wasn’t entirely unpredictable. 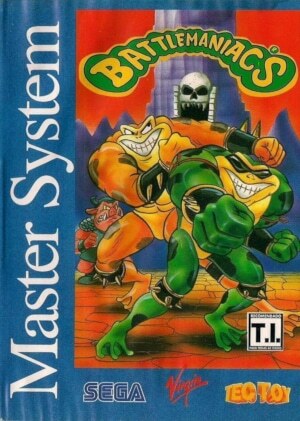 After all, it was Matt Furniss (working with Shaun Hollingworth under the Krisalis moniker) who ported the Battletoads in Battlemaniacs SNES score. The Master System port of Battletoads in Battlemaniacs has a chequered history. The game – ported by Syrox Developments – was scheduled for a European release in 1994 through Virgin Interactive. The game had progressed far enough that at least two reviews of it were published in UK gaming magazines. However, Virgin Interactive cancelled the release for unknown reasons. At a later stage, the game saw the light of day in Master System-loving Brazil through Tec Toy. However, it’s not clear whether that release took place in 1994 or 1996. The Battletoads soundtrack might be David Wise’s best and most creative NES score. That’s certainly no small feat – after all, Wise scored a whopping 46 NES games during his prolific career. Of course, a soundtrack release was all but impossible in 1991. It took until 2015 – when enterprising game music label iam8bit released a raft of Rare scores on vinyl – that the Battletoads soundtrack received its belated, but very much deserved album release. Mind you, it wasn’t quite the deluxe product you would hope to see from a commemorative release like this. iam8bit’s album was missing the DMC samples Wise used, for example the drums on “Title Theme”. It does make you wonder what materials the album producers were working with. Thankfully, this can’t distract from the eccentric brilliance of Wise’s work. A comparison with the Teenage Mutant Ninja Turtles NES games and their music is not only apt, but also proves insightful. The Konami titles took the new jack swing genre popular around the late 1980s and early 1990s and harnessed its fusion of hip-hop, dance pop and R&B to generate the kind of hard-swinging urban cool that would fire up gamers. 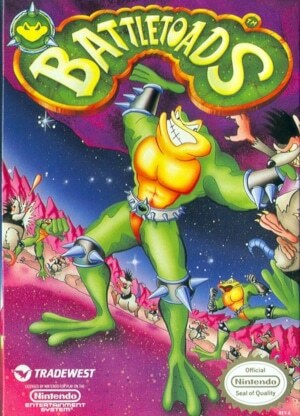 Battletoads, on the other hand, has something very different in mind. With the rise of indie games, the number of 8- and 16-bit styled titles has exploded. One of the most beloved genres from that era in gaming were JRPGs. It’s no surprise then that the retro game market has been flooded with titles that try to recapture the magic of genre classics like Final Fantasy, Dragon Quest, Star Ocean, Tales of… the list goes on and on. One of the better JRPG throwbacks was Zeboyd Games’ Cthulhu Saves The World. 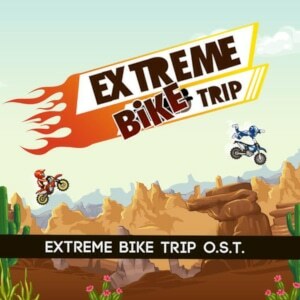 For the game’s soundtrack, Zeboyd Games turned to Gordon McNeil. It’s a shame that Neil Baldwin wrote his two best NES soundtracks for games that in the end were shelved. At least game music fans discovered Hero Quest‘s excellent score once the game’s developer released the ROM online. 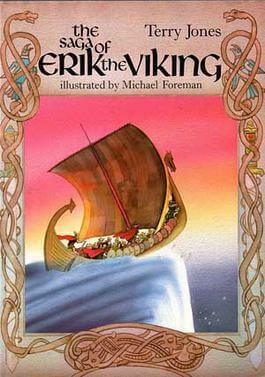 On the other hand, Baldwin’s second cancelled project Erik the Viking was pretty much unknown. That is, until Baldwin posted the soundtrack on his website Duty Cycle Generator. Action adventures like Erik the Viking require a fair amount of world building, and in this undertaking, the music has to pull its weight too. As such, the Erik the Viking soundtrack required Baldwin to create a more varied and larger score than what he had previously written on the NES. He rises to the challenge quite formidably, as Erik the Viking pushes Baldwin’s music into previously unexplored territory.